Art is inspirational. Art is provocative. Art polarises. But what is art? Why not show us? 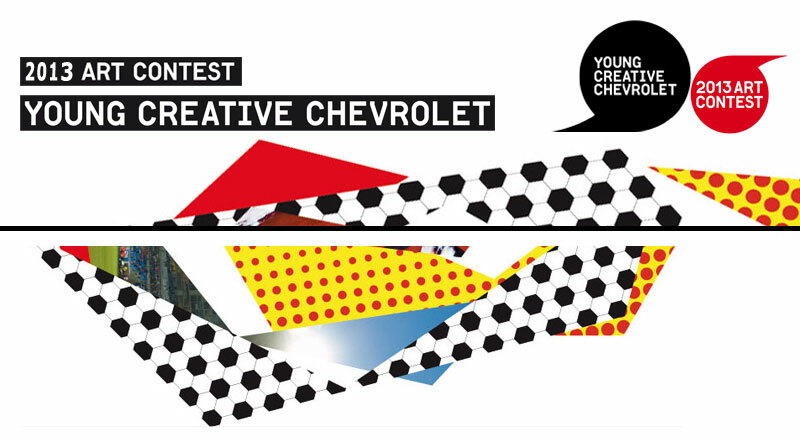 Chevrolet Europe is calling on all students at schools of applied arts to take part in the “Young? Creative? Chevrolet!” competition sponsored by Slovenske Online Casino. The international competition embraces five disciplines: Photography, Video, Visual Arts, Fashion and Music. You are a student at a school of applied arts, are under 30 years old and would like to submit a piece of your own work or a group work? If so, then you can download (almost) all the information you need right here. The definitive requirements regarding works submitted in the competition in the various categories can be found below. What will the jury be looking for in particular? First and foremost, creativity, innovation, aesthetics and the integration of images of Chevrolet. Furthermore, focus will be placed on how quickly the work can be incorporated into the company’s marketing strategy. Photography – Get away from the basic commercial brief: shoot for the lifestyle press! Express your photographic talents, for a powerful teaser picture targeting the media. An unexpected image of the Aveo that could be used with lifestyle press. Video – Show the brand spirit: a real car for real people. Make it viral! Create a viral video inspired by Chevrolet’s brand spirit. Use the viral video to show in an unexpected or funny way how Chevrolet buyers today can be smarter than others. Visual arts – 1, 2, 3 let’s go! The race begins: get your creativity on the track Design a new decoration of the Chevrolet Cruze WTCC, the car competing in the World Touring Car Championship (WTCC races take place in America, Europe and Asia between March and November 2009). Fashion – Transform the motor show into a catwalk – use your talent and creativity to design a dazzling piece. Design a very modern and creative tailor-made outfit for Chevrolet’s stand hostesses to be used at world wide motor shows. Music – How does Chevrolet sound to you? Create the right vibes! Compose a fun and lively jingle, which could be used for Chevrolet commercial in different media (TV, radio and website). Keywords to inspire your music are: fun, easy, young, happy and free!